Another Sewing FO, Faster This Time | Stitch, Brinn, Stitch! So last night between marathoning SG1 and flexing my fingers from intense knitting, I whipped up a quick skirt. It started life as a large, light-weight men’s button-down. I chopped off the bottom under the sleeves, hemmed, gathered, and sewed in some elastic. The whole thing probably took me about an hour and I only had to sew the elastic in once. AND it’s small enough to fit around my waist and stretchy enough to fit around my hips (though it looks funny down that far). 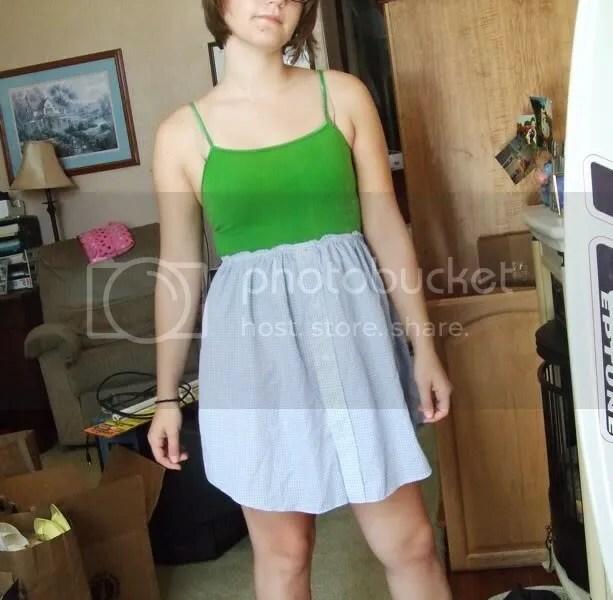 It also looks super cute as a tube top with a ribbon or something tied under the bust. Which I can do because for once, the outside top where the elastic is sewn in actually looks kind of neat instead of horribly messy and terrible. Pretty sure I got the shirt at a thrift store for under a dollar and I used about a third a pack of elastic which was like $1.50. 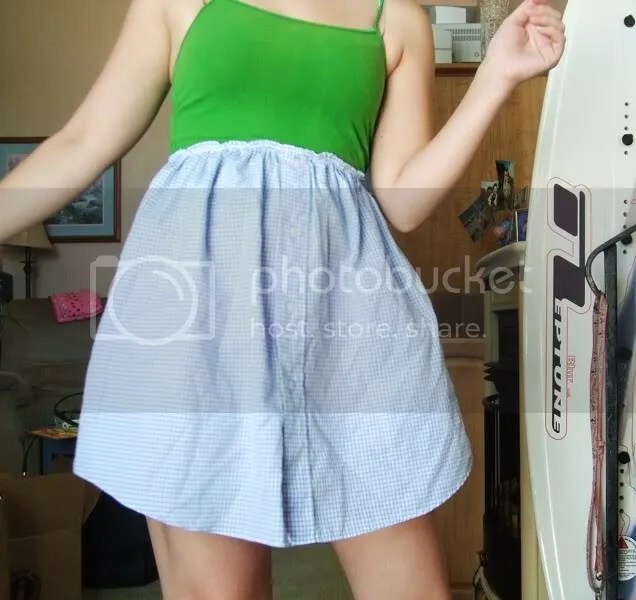 So hell yeah, diy, $1.50 skirt! « In which I am a HUGE NERD.